We've got a website full of great gifts for men, but this page has some of the most popular selections for you to look at. We have loads of great gift items! FlashlightsAn amazing selection from the best companies including SureFire. Multi-ToolsWe have the best selection anywhere! Shaving SuppliesDad should be able to pamper his face in the morning. We have soaps, mugs and brushes as well as straight razors and strops. Pocket KnivesEvery dad should have a great pocket knife. Zippo LightersA classy lighter is always a great gift for smokers and campers alike! Money ClipsDad needs to hold his cash, why not with a money clip! Pearl Handle FoldersDozens of models available - great gift idea! Key Ring ItemsFrom great small knives to LED lights to multi-tools, we have a fantastic selection of items that go with keys. Chris Reeve FoldersWe have a great stock of these top quality folders made by hand in Idaho. Swiss Army KnivesAn endless variety from Victorinox and Wenger. Hunting KnivesThe web's greatest selection of finely made hunting knives, kits and accessories. Custom Writing PensMostly created by custom knife makers, but not quite as pricey- these are very sought after gift items. Combat KnivesFor dads serving their country. Assisted OpenersWe have hundreds of different models of these "not quite switchblade" type knives. Electric SharpenersGive dad the gift of being able to keep all the knives sharp - easily! Rescue KnivesFolders and fixed blades for the hero on your shopping list! Credit Card Size ToolsAll the tools you need in an incredibly slim credit card case. We have great ones from Tool Logic as well as Swiss Army. 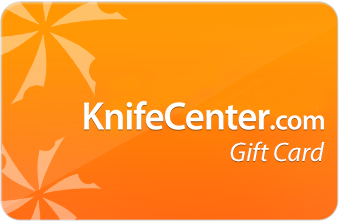 KnifeCenter eGift CardsKnifeCenter eGift Cards can be used to purchase anything on our site. 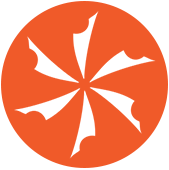 You decide to have the eGift Card sent immediately or on a future date of your choice. See Our Latest Newsletter for More Deals! A walking stick is a very handy tool to have with you while hiking for a variety of reasons. It's primarily for balance but can also be used to aid you in going up or down hill, to clear obstructions, to test conditions of the terrain, to defend yourself from wild animals, and more. Yshoot has added one more to the list with their ARC Pygmy Bow Walking Stick. This has the ability to become an offensive weapon with the addition of a lightweight bow and arrows hidden within the design. Chances are you've heard it said "a sharp knife is safer than a dull one". We believe this quote originated from first hand experience and find it to be true. The Sharpmaker was Spyderco's first product, which Spyderco made and sold before getting into the knife business. It's true -- First, Spyderco made things sharp, then they made sharp things.